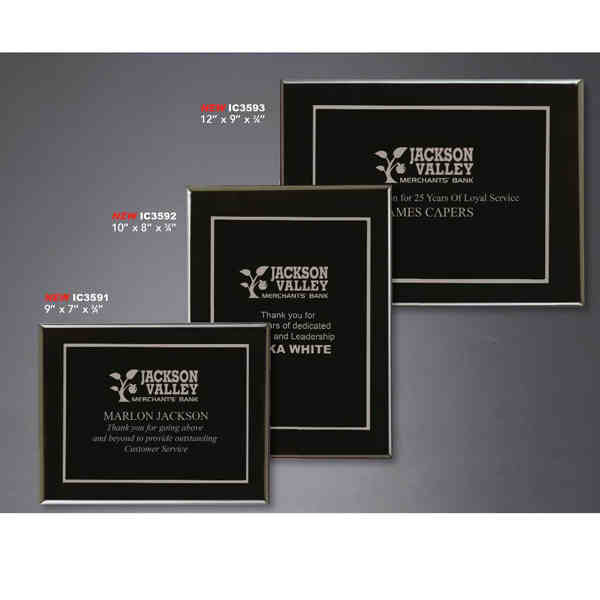 Imprint Method: Laser - Recognize success with this polished plaque award. Customize this elegant corporate gift with your company's logo and recipient's name. The lustrous black piano finish accentuates your accomplishments with any of our standard plates. This wonderful award makes a lovely addition to retirement banquets, anniversary dinners and other special occasions. Enhance an upcoming event by ordering this product today. Size: 12 " x 9 " x 0.75 "
Imprint Size:9.75" x 6.75", 6.75" x 9.75"